Etude House, the Korean beauty brand known for its cute, girly and princessy aesthetic really needs no introduction on my blog, because I do have quite a few Etude House product reviews on my blog. 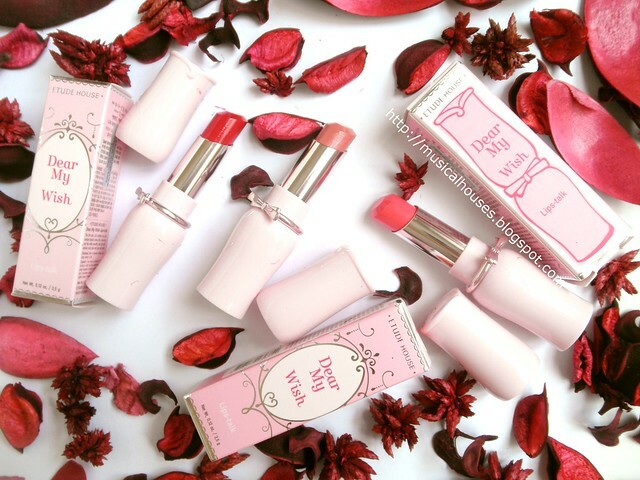 The brand has launched its Dear My Wish Lips Talk lipsticks, which are new additions to its already pretty extensive line of makeup. 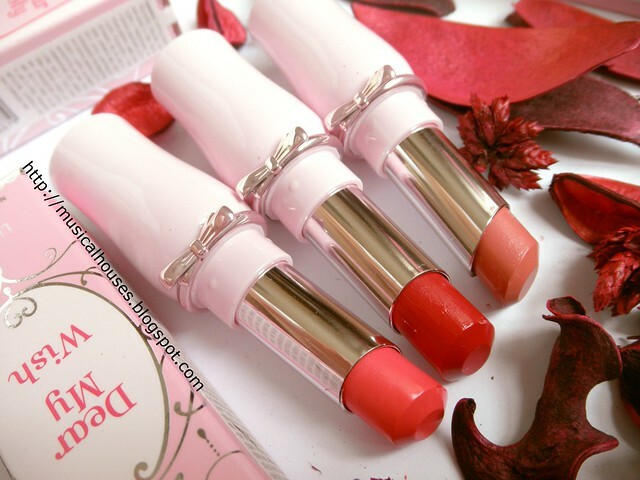 And, if you are an Etude House fan, everything you like and know from the brand can be found in these lipsticks - pretty girly packaging, budget-friendly price, and good quality! Etude House seems to have quite a few product ranges beginning with "Dear My", including the lipstick ranges Dear My Blooming Lips Talk, Dear My Jelly Lips Talk, lipgloss ranges, like the Dear My Enamel Gloss, and eyeshadow and cheek colours, like Dear My Blooming Cheek and Dear My Blooming Eye from previous collections. So if you're say, shopping online, or shopping from a list, and trying to differentiate between different product ranges, it helps to know the full product name to prevent confusion! The Dear My Wish Lips Talk lipstick comes in 10 shades, from bright hot pinks, to corals, to nudes, to reds, and vampy shades, so no matter your colour preferences, there is a shades for you. The shades I have for review are PK001 Dreamy Propose Pink, PK003 Secret Date Pink, and BE101 Chic Hollywood Beige. And as with Etude House, the packaging is in a really cute pink plastic casing, with tiny metal "ribbon" in the middle of each lipstick. With that, let's proceed to the swatches and review! Finding Skincare Dupes by Ingredients Analysis, and My SCA Post on Creme De La Mer Dupes! Edited to Add: Due to shady dealings by the skincare-addiction.com website owners and previous subreddit owners, I can no longer recommend the skincare-addiction.com website. 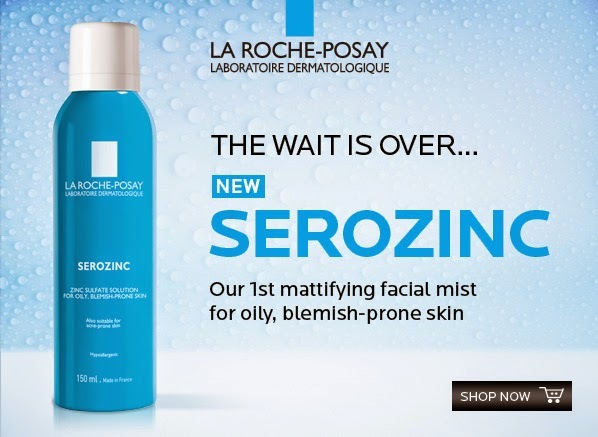 I've edited this post to remove all SCA links, and have republished the Creme De La Mer Dupes post here on my own blog instead. I've recently been asked to contribute an article (or a few articles, depending on what I feel like) to the Skincare Addiction blog, which in turn is a blog written by and for the /r/SkincareAddiction subreddit. My guest post, "Skincare Dupes and Analysis: Creme De La Mer" is up on the SkincareAddiction blog. It's got my usual ingredients analysis, and some skincare science thrown in! 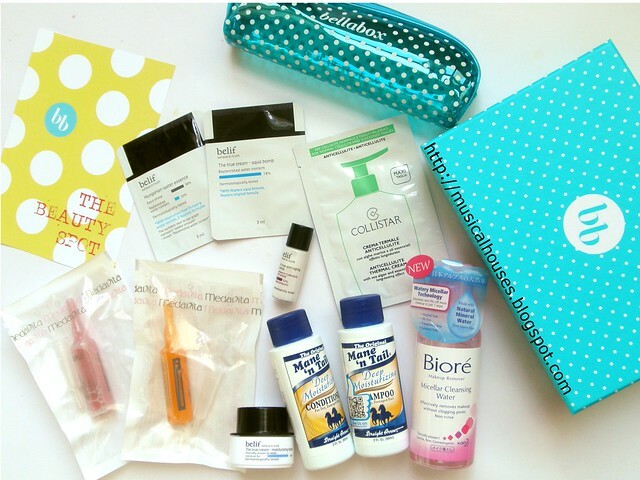 So my skincare geekery is hanging out on that post in full force! When the SkincareAddiction people approached me to write a post, I readily agreed, because skincare science was right up my alley, and I always love exchanging views and interacting with such people. (Coincidentally, I had just gotten a Reddit account at the time and was a lurker on the SkincareAddiction subreddit, as well as a few other beauty-related subreddits - because I'm creative like that, my Reddit username is also musicalhouses.) They were open to whatever I wanted to write, and stylistically, their blog accommodated quite a few different writing styles. In fact, other than standardizing things like formatting, my blog post was published as-is. Erabelle is chain of beauty salons that are pretty famous for their brow grooming services (which I've reviewed before a long time ago in 2012), and now they've also launched a skincare product - the Erabelle Skin Softening Refiner! I was curious, since of course beauty grooming services and skincare, while related, aren't exactly alike, so I was interested in seeing how the foray into skincare would turn out to be. As the name suggests, the Skin Softening Refiner is an exfoliating mask. It's a moisturizing mask, with some exfoliating beads from peach seed powder. The natural angle of this product also appears to be played up, with the description touting its "vegetal proteins" (which is just proteins, but derived from vegetable sources), so I imagine this product would also be interesting to those who are looking for such products. The product also has really pretty packaging, with a very cute and girly box (my box unfortunately kind of got squished in the mail, which is why it looks a little crumpled), and even comes with a little plastic spatula for a more hygienic application. 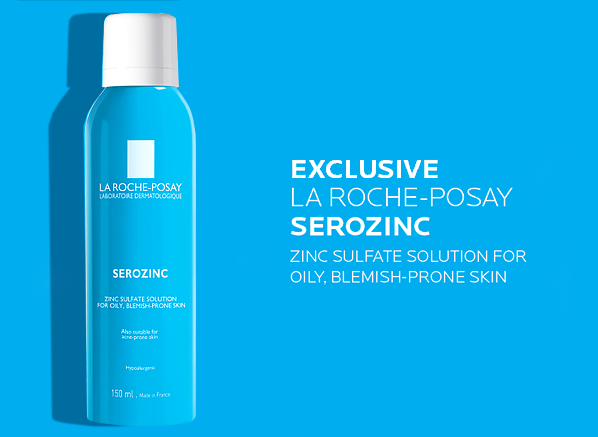 As a big skincare nerd, reviewing this product was a pretty exciting venture for me, because there are so many areas to explore. First, we want to take a look at the "vegetal proteins" in the product, because those are featured in some of the descriptions of the product. And of course, we'll also want to take a look at the peach seed powder in the product, which is the main exfoliant. And then, on top of that, there is also my usual ingredients analysis that I love to do. So there's a lot to do for this review! So without further ado, let's start with my favourite part of the product, which is the ingredients list! Yay, skincare science! Marsala is Pantone's Colour of the Year 2015, and unlike some previous years' Colour of the Years, I'm actually pretty excited for this, because as a makeup junkie, I feel like Marsala is pretty versatile on lips and cheeks. (I wouldn't be keen to wear it on my eyes, though.) Naturally, you can expect lots of commercialization with the Colour of the Year - like the Sephora X Pantone collections, and to be honest, the whole "Colour of the Year" thing always feels a bit enforced/commercialized to me - for one, the colour of the year is a decision that is made a year in advance by a small number of people in the industry, as Wiki helpfully points out: "Twice a year the company hosts...a secret meeting of representatives from various nations' color standards groups. After two days of presentations and debate, they choose a color for the following year...the color for summer 2013 was chosen in London in the spring of 2012." So yes, for some reason, people we don't know choose a colour for us a year in advance, and deem it the "Colour of the Year". It sounds arbitrary and a tad bizarre to me, but there it is. My Marsala-ish coloured makeup stash! At least, this year's Colour of the Year looks pretty good to me. Unliek 2013's Emerald, which I found a tad unwearable makeup-wise (emerald eyes just aren't my thing, let alone lips or cheeks, although I did rock an Emerald eye look in 2013! ), and 2014's Radiant Orchid, which I liked personally but can imagine how some people with warmer skintones might find unwearable, Marsala looks pretty universally flattering, and actually wearable when it comes to makeup. I'm definitely eyeing some of the items in the Sephora X Pantone collection this year, but I thought, as an excercise in frugality (don't look at me like you're not convinced - I said frugality, not futility! ), I should attempt to dig through my makeup stash to see what Marsala-coloured products I already have in my stash, to see whether I am already all up to my eyes in Marsala products, or whether I still have room for a few more!